The Southwest Minnesota Arts Council (SMAC) is a non-profit organization committed to promoting and encouraging the development of the arts in the eighteen counties of southwestern Minnesota by serving as a source of funds and technical services which enable local organizations, educational institutions, and individuals to sponsor and/or create and promote the arts in their communities. Artists, arts organizations and arts activities thrive. Public value of the arts is understood and acted upon by community members, leaders and policy makers. The creative spirit is integrated into the social fabric of every community. 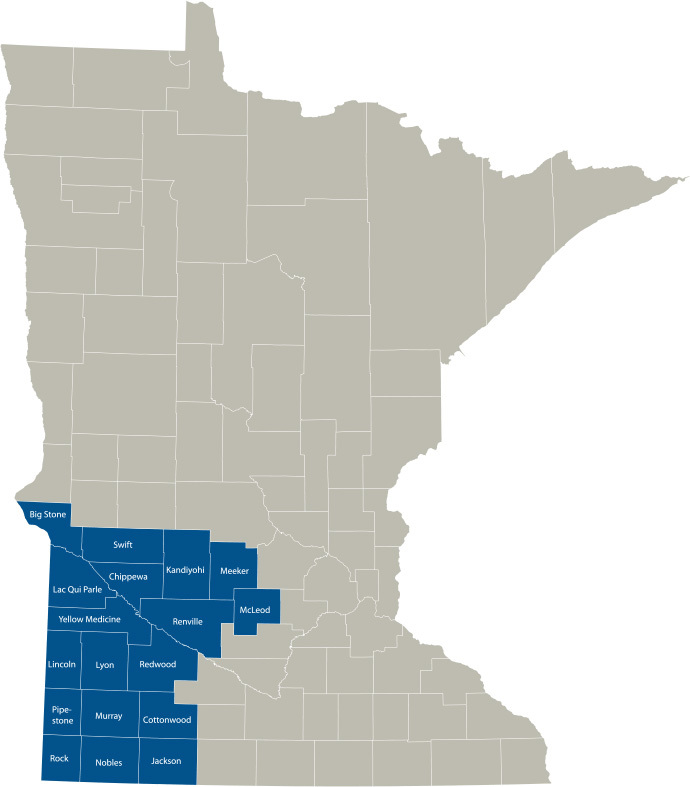 Established in 1974, the Southwest Minnesota Arts Council (SMAC) merged with SWAFAH, a similar regional arts organization which had been in operation in the area since 1968. SMAC is part of the statewide system of eleven regional arts councils (RACs) that receive a legislative allocation for the arts in an effort to increase access to and participation in the arts, increase arts awareness and ensure equitable distribution of legislative arts funding, the regional arts councils work on a statewide basis in partnership with the Minnesota State Arts Board. Each regional arts council is designated to assess arts needs, develop programs and services to meet those needs, and distribute grants to fund arts programs in their region. SMAC is governed by a volunteer board of directors who are elected by the individual and organizational members of the Southwest Minnesota Arts Council. The board members, one from each of the 18 counties, meet monthly to work on policy, planning activities, discussing new ideas, and evaluating past projects. Daily activities are managed by a staff of three full-time employees.